A.A.Milne, the author of Winnie the Pooh was born on this day, the 18th January 1882. 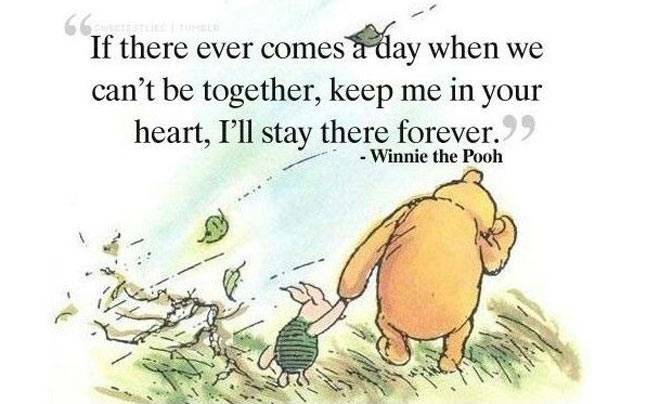 Every so often a book shapes the lives of millions of people and this is undoubtedly the case with Winnie the Pooh. Just for something different, I wanted to share a few of the famous quotes from A.A.Milne's books, many of them coming from Pooh himself. Some people care too much - I think it is called Love. This last quote reminded me of Jesus words to his disciples when he prepared to leave this earth. He promised to be with them ALWAYS (Matthew 28:20) - even though he was ascending into heaven, he was leaving the gift of the Holy Spirit.